Experience Hong Kong with fresh eyes, as the region hikes up treats, deals and discounts to commemorate the 20th anniversary of the former British territory’s handover to China. To mark two decades of the establishment of the Hong Kong Special Administrative Region (HKSAR), Cebu Pacific boosts the frequency of its Manila-Hong Kong route by 50%. 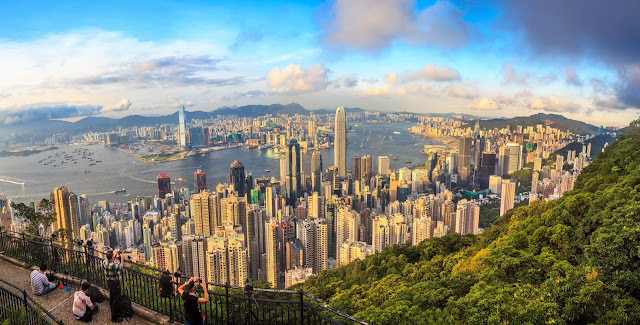 One of the most popular destinations in Asia, Hong Kong has been pulling all the stops to mark the historic milestone. Lavish decorations and banners are seen upon arriving at the Hong Kong airport and other entry points to the destination. Giant traditional lanterns are also displayed in Central to promote this vital part of the Chinese heritage. Special workshops for lantern-making are also scheduled until the end of July. The festivities kicked off with a “super fireworks wall,” a 23-minute pyrotechnic display will be multimedia extravaganza with components like LED screens and beam lights to go with synchronized music. Said to be the city’s most expensive fireworks event since 1997, it measures 1,250 meters long and 300 meters high is set to light up the Hong Kong skyline over the famous Victoria Harbour. Accompanying beam lights were projected from Causeway Bay to adorn the fireworks and give a 3D effect to the whole performance. Fun-loving travelers looking to be a part of the merrymaking are in for a treat, as Cebu Pacific will be sending off more of its fleet to Hong Kong starting this month. The airline is flying three times a day, or 21 flights weekly, between Manila and Hong Kong. Travelers coming in can enjoy more spacious seating and modern ambience as the airline trades up its A320 Hong Kong-bound fleet for the Airbus A330s. “Bigger aircraft means more seats and lower fares for the Manila-Hong Kong route. We look forward to bringing everyJuan on a two-hour plane trip to experience the historic twenty-year milestone in Hong Kong’s history, or revisit the city with fresh eyes,” said Candice Iyog, Cebu Pacific Vice President for Marketing and Distribution. Another guest also reappears to celebrate the 20th Handover Anniversary. Hong Kong’s online sensation, the Rubber Duck, is back after generating waves online. This time, the inflatable installation takes the limelight while in dry land, next to the anniversary’s equally adorable display, the longevity buns. Around the city, eyes will wander to the open spaces beautified by designers and local artists. Select flights of stairs will be embellished with flower patters from the Hong Kong Museum of Art collection; and museums will carry special exhibits, including the on-going display of the 126 pieces sourced from Louvre, France. Beyond the cityscape and the urban vibe of Hong Kong, visitors can enjoy attractions in the outlying islands. The remote Po Lin Monastery, hidden away by lush mountains on Lantau Island, is revered for its 111-foot Tian Tan Buddha statue, which faces north towards Mainland China. Hiking trails and outdoor adventures also offer a scenic way to discover Hong Kong’s storied past. Fly and discover more of Hong Kong today. Aside from Manila, CEB offers direct flights from its Clark hub to the destination and flies 10 times weekly using the 180-seater Airbus A320 aircraft. Iloilo flights to Hong Kong are scheduled three times weekly, while Cebu flights to the destination are scheduled daily.